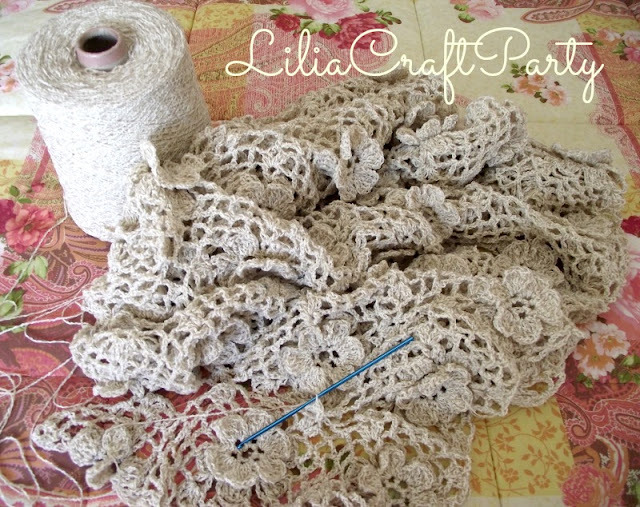 LiliaCraftParty: Josephine Shawl for Romantic Nights! 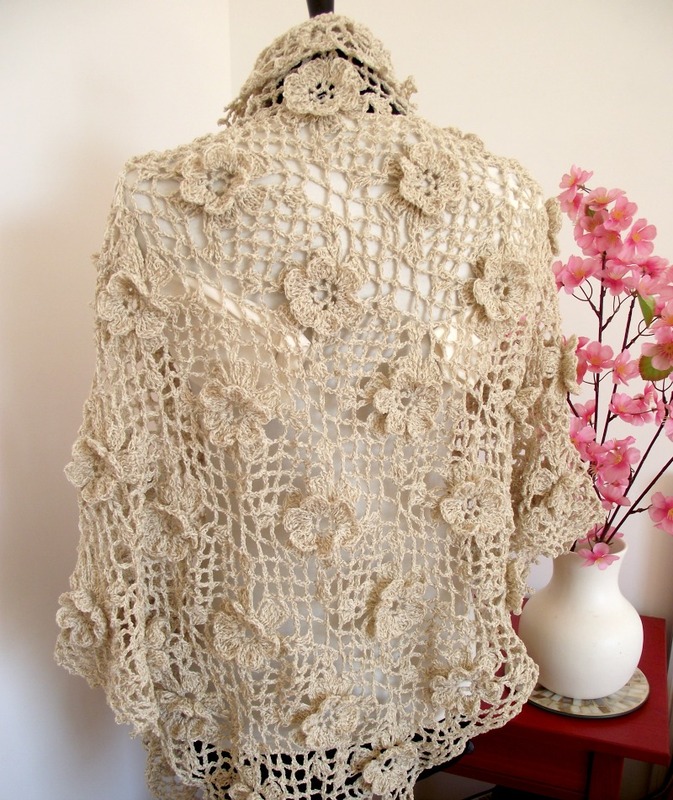 I crocheted this fabulous Josephine Shawl last summer, the flowers are 3D and are made on the same granny square, I used rear italian cotton on this earth color wich gives even more feminine and delicate vintage look, shawl is big enought as you see on the picture! Very romantic indeed! 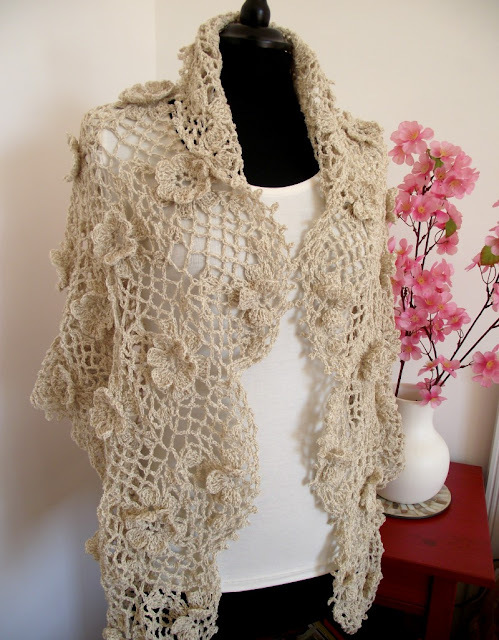 I just love this shawl! It's so lovely - a sure must-have! 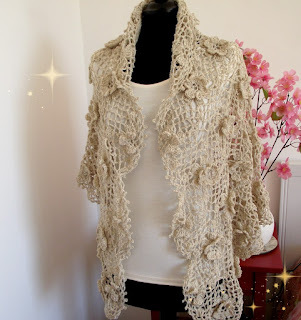 Hi dear Marjan, thank you so much for your comment, pattern is very easy and you won´t have any problem and if you need extra help or have any questions you are welcome to contact me anytime, I will have more pictures with a real model for my customers see the beauty of this crochet shawl, do not worry, I will post here so please stay tuned! 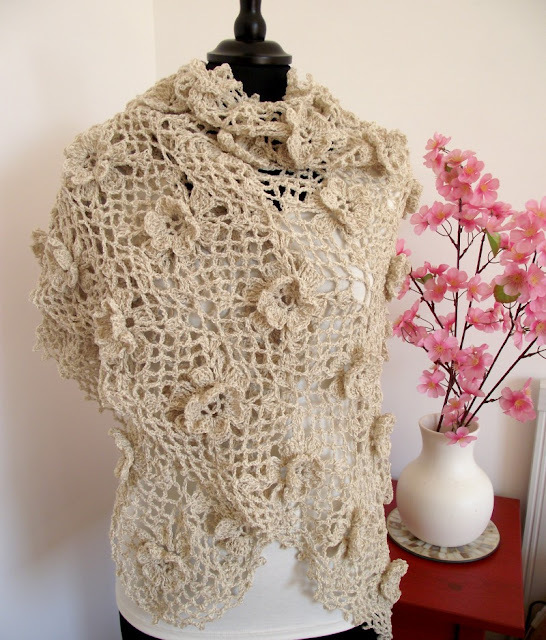 Very beautiful! I made a 3D flower granny Afghan many years ago. They always come out so pretty! I also love your princess baby blanket. Saw them both on Most Moogly! Hi dear Carolyn, thank you so much for your lovely comment! I´m so happy to participate on the link partys from Moogly, nice opportunity to meet other knitting and crochet designers and people who love to knit and crochet! Nice to meet you and thank you again! 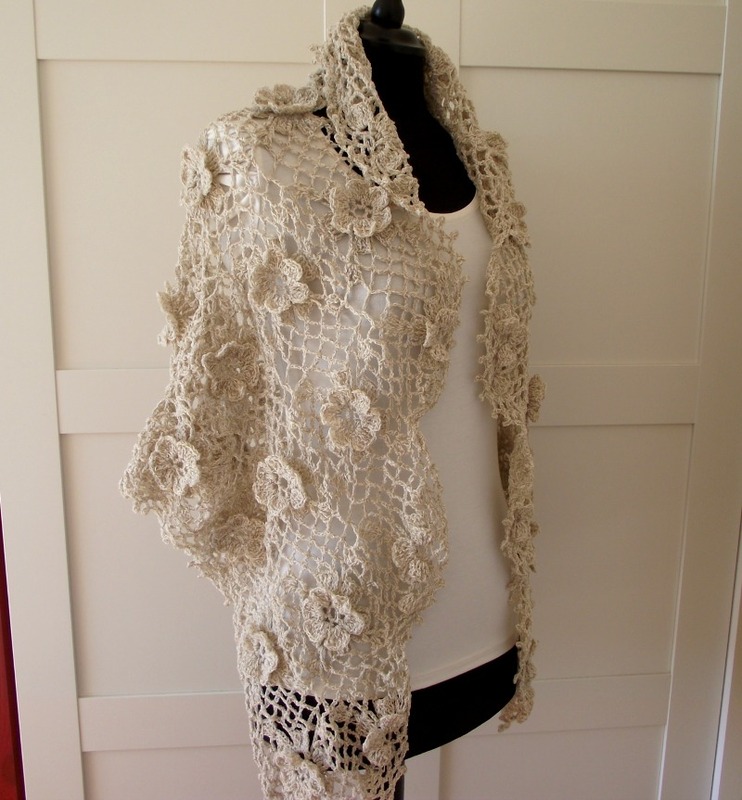 Love this beautiful lacy shaw. Found you on Party in Your PJs link party.